Hampden Park is a friendly club with regular club afternoons. 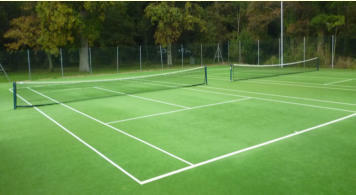 It also provides excellent opportunities for competitive tennis. The club has 5 Men's & 4 Ladies Summer teams & similar number of Winter teams which have successful records in the Aegon & Sussex Leagues. 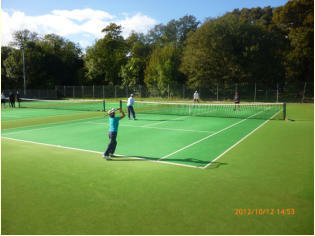 Mens and Ladies 1st teams compete in the Sussex County League Division 1. 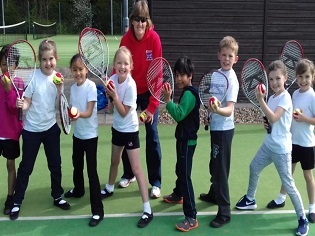 The club also provides professional tennis coaching facilities and has a very active junior section. Check with the Club Calender for current times. Cost: £5 per hour per child. Fun tournaments in school holidays. 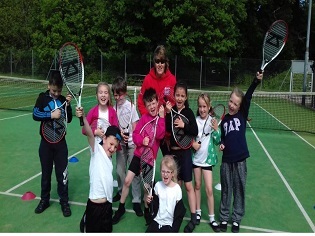 Teams in Sussex Junior Tennis leagues. Junior Aces - All year, Sunday matchplay sessions. Crash courses in Easter and summer holidays. Junior Club Championships - Singles and Doubles. Junior of the year award. Cardio Tennis - improve your fitness. A great fun way to get fit for all your tennis. Although tennis based, you certainly do not have to be a good tennis player to enjoy these sessions. People of all levels of fitness will benefit from the activities. If a parent would like to come and only play or practice with their son/daughter, they can for no charge, as often as they like, provided the courts are not being used for matches, club sessions, tournaments etc. Full members have priority. All ages, all standards welcome. Cost members £30.00 per child per course. Cost non-members £36.00 per child per course. 3 Months, includes two Free Thursday group lessons and two free Monday Cardio fitness sessions.